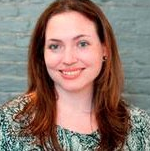 Disclosure: We attended the International Housewares Association Show NYC Press Preview. All opinions are our own. The Zyliss Twist and Scoop Grapefruit Tool – I love eating grapefruit, but it’s always such a messy fruit to dig into. The Zyliss Twist and Scoop Grapefruit Tool allows for you to easily scoop out the fruit you want to enjoy without the mess! The product features an in-built corer for easy core removal. We love the Asobu Cold Brew Coffee Maker - the first portable cold brew coffee maker of its kind. The coffee maker comes along with an easy take on the go spill proof stainless steel 18/8 mug so you can enjoy your cold brew at home, in the office, park or on the road. 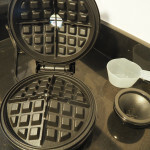 It’s very easy to use – Simply fill it with 1.3 ounce of coffee, pour cold filtered coffee in a circular motion, and leave it to steep for 12 or more hours. A fine mesh screen keeps granules out of your cup. Clorox has long been synonymous with keeping our households clean. Now the brand offers an easy to use Sort’n Fold Laundry System comprised of baskets and hampers, helping to make the task of sorting laundry even easier and more efficient. The divider makes sorting clothes easy, and can be removed to help serve as a guide to fold shirts! 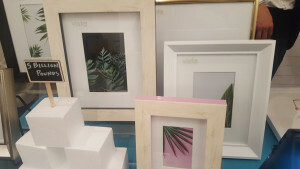 Looking for beautiful new photo frames? Look no further than Vista, a truly innovative company that makes all of their beautiful frames out of discarded Styrofoam! Millions of pounds of Styrofoam are thrown away this year. Vista collects Styrofoam before it hits landfills, and its ingenious recycling system transforms what would have been waste into items of beauty that will complement your favorite photos and memories. Vista Frames allow you to shop by collection and color to best select the products that suit your style. PackIt has launched some innovative new sizes, styles and patterns for 2018. We’re big fans of these gel-lined freezable carriers that help us keep food and beverages cold. They’re durable, easy to store, and always come in handy. 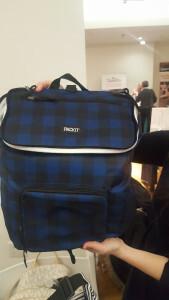 We love the new upright backpack for carrying food for the family or team, and the Hamptons and Hobo lunch boxes with helpful shoulder straps. The breastmilk and formula cooler will come in handy for new moms! For those of us sticking to our resolutions of drinking more water, carrying around a hydration bottle is likely essential. That said, sometimes they can be hard to clean! 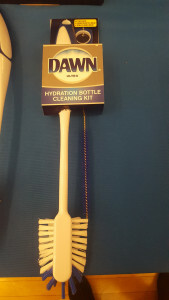 We were excited about Dawn’s Hydration Bottle Cleaning Kit, which includes a handy wand to scrub inside your bottle, and even a tool to clean out straws! 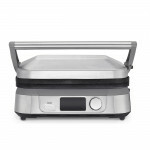 Hamilton Beach was on hand with innovations for our kitchen. 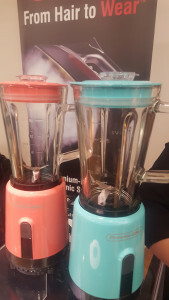 We are excited for the launch of these new personal blenders – ideal for making a daily smoothie at home or the office! We all love CHI when it comes to straightening our hair, and now we can utilize CHI steam home products to get wrinkles out of our clothes! The new CHI digital iron features the same iconic gold plate and uses CHI flat iron technology for superior performance. 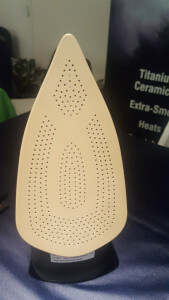 TubShroom is a revolutionary design, which traps stray hairs in the drain, allowing for easy removal! The products are available in different sizes, to fit your tub, sink, and even shower. When it’s time to clean up, you can simply remove and wipe out the TubShroom and insert back into the drain, saving time, effort, and money on plumber bills! Tovolo makes kitchen chores so much easier with innovative, sometimes often whimsical products. We love the SpatulArt for fun designs! Practically speaking the Prep N’ Rinse Flat Colander allows us to wash large items while not taking up the space of a round bowl colander in our cabinets. The Better Batter tool helps make mixing simpler, with sturdy, thick silicone blades that help get through tough batters faster. The blades help you scrape the sides of the bowl for no waste and less hassle!